A cookie is a small text file that’s stored on your computer or mobile device when you visit a website. Please note that if you opt to disable some or all cookies, we are unable to guarantee that our websites will operate. www.aboutcookies.org - This web site explains how you can delete and control the cookies that are stored on your computer. Your online choices - Allows you to control your online behavioural advertising preferences. ZSL utilises the technology of third parties on a regular basis to ensure that we are using up to date systems which are managed by the best companies to provide us with the services that we need. This in turn means that there will be a number of third party cookies from our trusted suppliers used on our websites. Each company is responsible for the cookies that they place onto your device and have separate policy documents to highlight their use. ZSL uses services provided by Hotjar Ltd. Hotjar provides services including Heatmaps, Visitor recordings, Funnels and Form Analysis, Feedback Polls, Surveys and Recruiters. The information generated by the tracking code and cookies about your use of the website will be transmitted to and stored by Hotjar on servers in Ireland. Through the Hotjar tracking code the information collected is device specific data. Hotjar will use this information for evaluating your use of the ZSL website, compiling reports on website activity for website operators and providing other services relating to website activity and internet usage. Hotjar uses a variety of services hosted by third parties, such as Google Analytics and Optimizely. For information on how Google Analytics and Optimizely collect and use your information, please refer to their privacy policies. By continuing to use this website, you consent to the processing of the above data by Hotjar and by the third parties used by Hotjar in accordance with their respective privacy policies. The cookies used by Hotjar have differing durations; some are 365 days, some persist for the session only. The aim of this cookie list is to provide you with an understanding as to what types of cookies ZSL uses on our digital platforms. The list below covers key cookies that ZSL or our technology partners use, please be aware that this list is not exhaustive. Have a look at Adobe's website if you want to control Flash cookies on your computer. If you’ve got a Firefox browser you can also get an add-on to detect and delete Flash cookies. Web beacons are also sometimes referred to as ‘web bugs’ and are small single pixel transparent image files. They allow website owners to know when a visitor has reached their website, and are used in conjunction with cookies to allow further website tracking to be monitored. Again, these files are not viruses, but are useful in helping us to make your web surfing experience better. 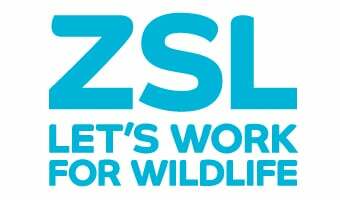 ZSL is committed to protecting your privacy in accordance with their obligations under data protection legislation. The current data protection law is found in the Data Protection Act 1998 but with effect from 25th May 2018, the main data protection law will be the General Data Protection Regulation as supplemented by the Data Protection Act 2018 and related laws.